Dublin, OH -- The Columbus Marriott Northwest, located in Dublin, OH, opened Two Brother Bar & Kitchen, a brilliantly designed contemporary restaurant that fuses the mouthwatering taste of regional flavors with the culture of the local community. The restaurant is now open and is located in the newly renovated Columbus Marriott Northwest. Two Brother Bar & Kitchen is positioned to set a new standard for regional hotel dining and entertainment. The restaurants ambiance is designed to complement the contemporary style and comfort of the “Modern Marriott” hotel and features beautiful esthetics that elicits relaxation while dining. The restaurant’s menus consist of locally sourced and executed produce crafted into favorite offerings that represent the rich culture of the Dublin community. The spirit of Two Brother Bar & Kitchen is embodied in modern cooking and cocktail techniques, using “regional” as an inspiration. bank of the Scioto River; that land became home to their entire family, and ultimately expanded to become what is Dublin, Ohio. Executive Chef Tyler Tremaine has created a well-curated food and beverage program that works to connect the dots with local food purveyors to acquire the freshest and tastiest ingredients. Two Brother Bar & Kitchen’s expansive menu hosts an array of Dublin inspired breakfast, lunch and dinner plates, both small and large, that are perfect to share with friends and family. The restaurants breakfast options includes a scrumptious buffet and a la carte plates and skillets that are offered daily. The breakfast menu also offers modern classics such as house made eggs benedict, broken yolk sandwich and Kimchi fried rice and egg skillet. The lunch menu is comprised of soups, salads, express lunch plates and hand-held sandwiches that are created with local artisan bread. Dinner options include modern seafood and land cuisine options. Chef has designed a colorful array of appetizers, such as Guacamame with pita chips and an Ahi Poke dish that is served with multi-colored chips. Also featured are succulent steak plates, Fresh Pappardelle, a dish unique to the local Dublin culinary community, tempura fried Lake Erie Yellow Perch, Norwegian salmon, flatbreads and burgers. Two Brother Bar & Kitchen brings local love behind the bar. Featured on tap are brews native to Ohio, including Columbus Brewing Company, Great Lakes Brewing Company, and Land Grant. The cocktail menu features an Irish classic, the Dublin Mule. The restaurant serves food week days from 6:30 a.m. – 11 p.m. and 7:00 a.m. – 11 p.m. on weekends. 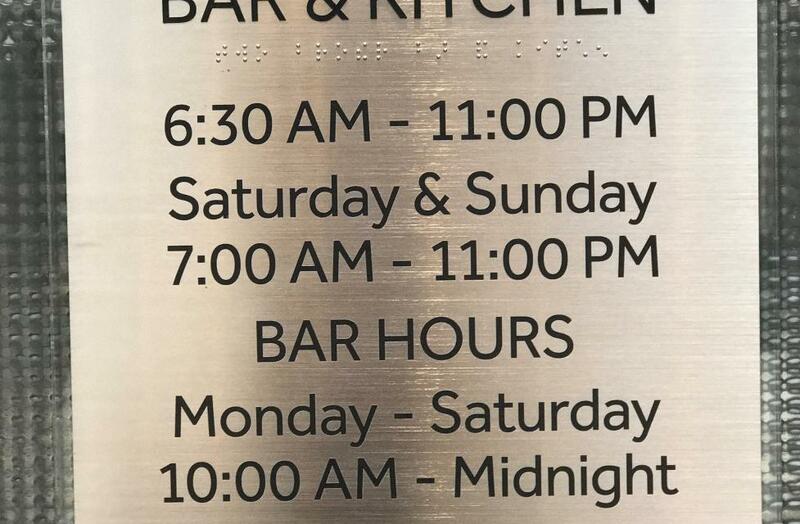 The bar is open from 10am – midnight Monday through Saturday, and 10 a.m. – 11 p.m. on Sundays. To learn more about Two Brother Bar & Kitchen or to make a reservation, visit www.columbusmarriottnorthwest.com or call (614) 791-1000. Columbus Marriott Northwest is located in an upscale suburb of Columbus, Ohio near Muirfield Village Golf Club, Columbus Zoo, and Tuttle Crossing Mall. The hotel is ideal for families, groups, and business travelers and is walking distance to many unique dining options and shopping.